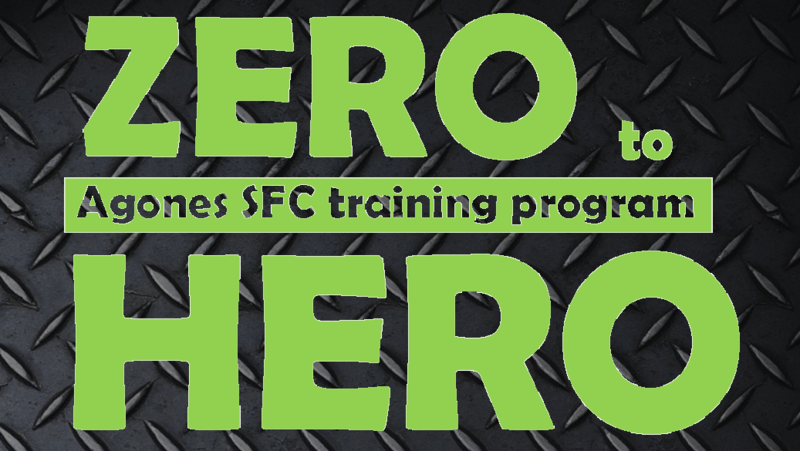 Led by qualified coaches and instructors Agones Sfc’s ‘ZERO to HERO’ training program is aimed primarily at newbies or relatively new faces to the sports of running (road and trail) , triathlon (road and xcountry) , Cycling ( Road and Mountain Biking) that are looking at gaining fitness and achieve desired goals. 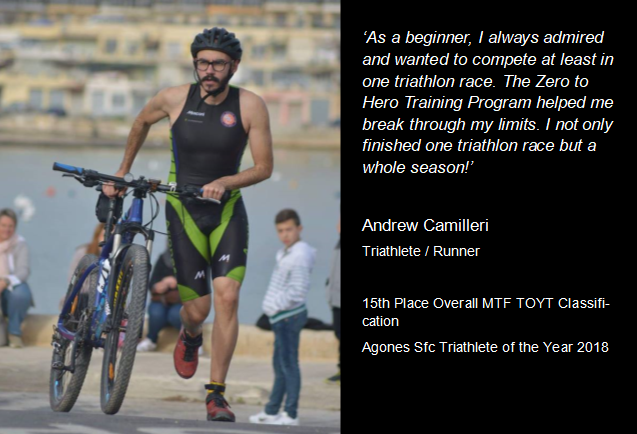 The training program offers a personalized weekly training schedule, designed around the needs of every individual, taking into consideration the current fitness level, one’s lifestyle and commitments and targets set in mind. Running, Swimming, Cycling and Fitness group sessions are also offered on a weekly bases, yet no session is obligatory. One can opt to join in the group sessions or simply follow the training schedule at their own time. 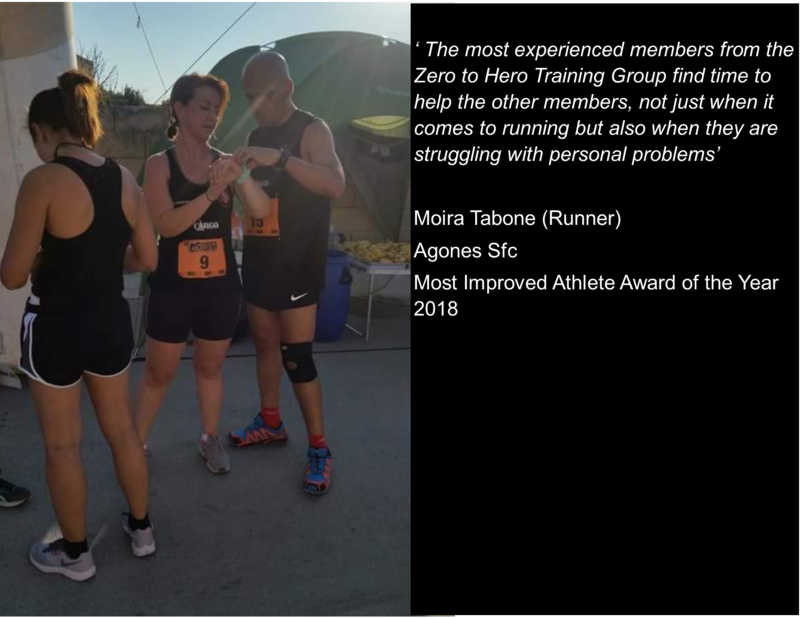 Feedback is given to the athletes on a weekly base and athletes are guided by their mentors every step of the way. The group makes also use of seasoned and specifically trained Nutritionists, Physiotherapists, Sports Doctors and Masseurs to make sure everyone is training in the best way possible way while avoiding injuries. The group has been set up 6 years ago and since than hundreds of beginners have gone through its ranks. Some stayed on and are now the seasoned athletes in the group and others have moved on to a higher-level program. Those athletes who stayed on, now act as motivators and inspirational buddies for the new comers. In fact, the camaraderie that exists in this training group is what has made is such a success through those years. 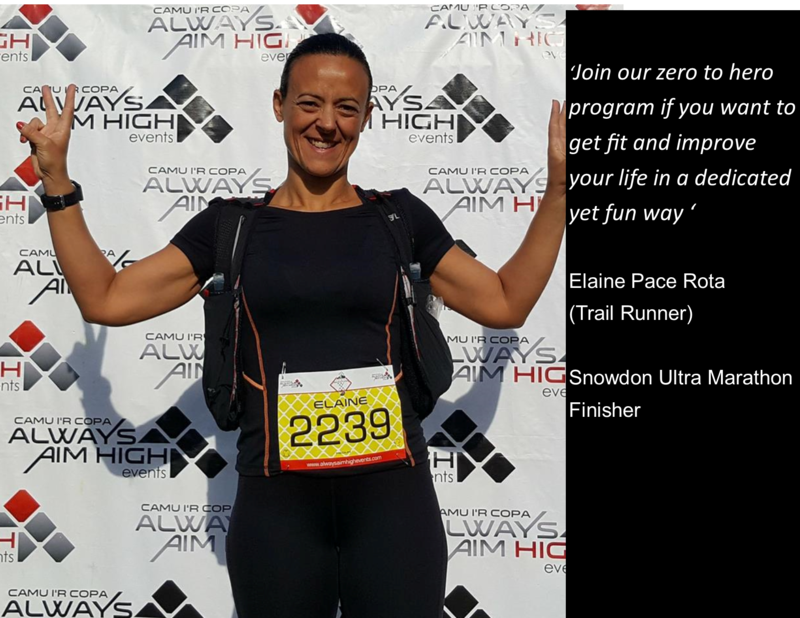 The ‘Zero to Hero’ Training program practices the simple philosophy that SPORT IS FUN, beneficial to the body, mind and soul and although the group is very easy going, training is taken seriously and the desired results are achieved. 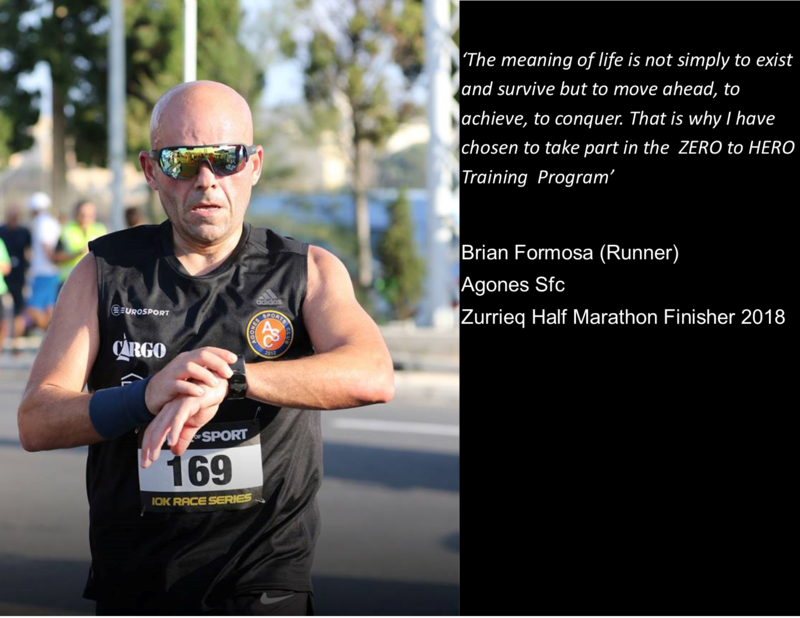 ‘Zero to Hero’ Members are granted a 1 year free Agones Sfc Club Membership and also get up to 30% discount from Agones Sfc club partners, as well as are able to take part in the MAAA (Malta Amateur Athletic Association), MTF (Malta Triathlon Federation), MCF (Malta Cycling Federations and MMBA (Malta Mountain Bike Association) respective leagues and championships. 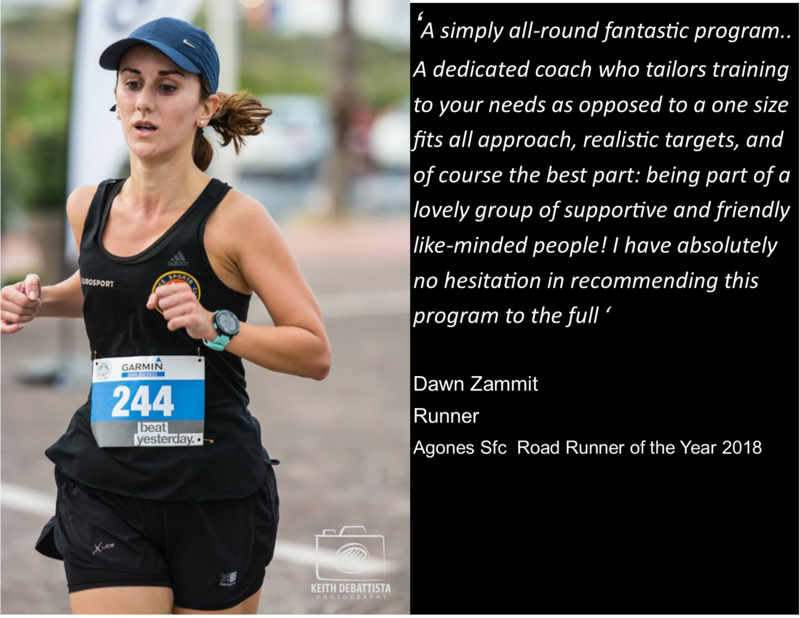 Whether you have never jogged for 1 minute and you want to run 5km in 9 weeks (yes you can) or a fitness freak that needs some guidance to accomplish his first full ironman. Please contact us. We will make sure to find the best way to support you to reach those goals.